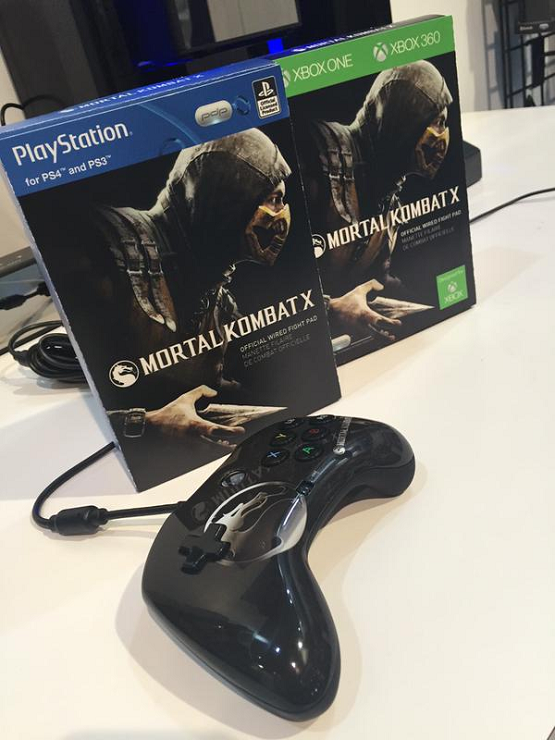 Peripheral manufacturer, PDP, unveiled the custom Mortal Kombat X controller at CES 2015. Since revealing the prototype last September, PDP has made a few changes to the controller. It now has a D-pad instead of an analog stick, and the space between the face buttons and the D-pad seems to have been increased. The controller will be released for the PlayStation and Xbox, and the PlayStation version will work with both the PS3 and the PS4. Its price is expected to be somewhere between $35 and $50.